The Rubik’s Cube World Championship, which sees competitors battle to solve the iconic cube as quickly as possible, is being staged in France for the first time from Thursday 13 to Sunday 16 July 2017 and will see a record number of ‘speedcubers’ in action. Due to the excitement around the new Nations Cup format, it is anticipated that Ernő Rubik, the legendary Hungarian creator of the iconic Rubik’s Cube, will be in attendance at the event. A professor of architecture from Budapest, he created the cube in 1974 to encourage his students to think about spatial relationships. Since its international launch in 1980, an estimated 450 million Rubik’s Cubes have been sold, making it the world’s most popular toy. 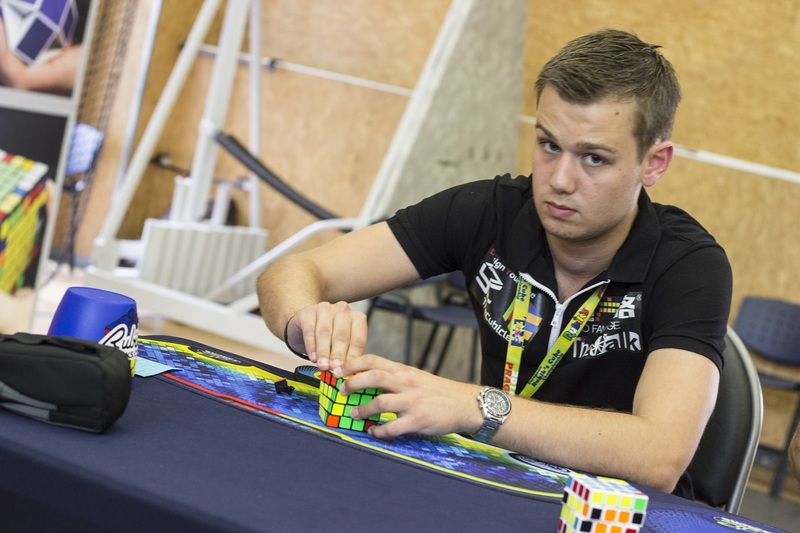 Australian Feliks Zemdegs holds the world record for the fastest solve of the Rubik’s Cube in an eye-watering 4.73 seconds in Melbourne in December 2016, although the Netherlands’ Mats Valk is fractionally behind with a best solve of 4.74 seconds in Indonesia in November 2016. However, the competition’s rules mean that entrants solve the Rubik’s Cube five times. The fastest and slowest attempts are removed and an average time is taken so the competitor with the fastest single solve does not always win. 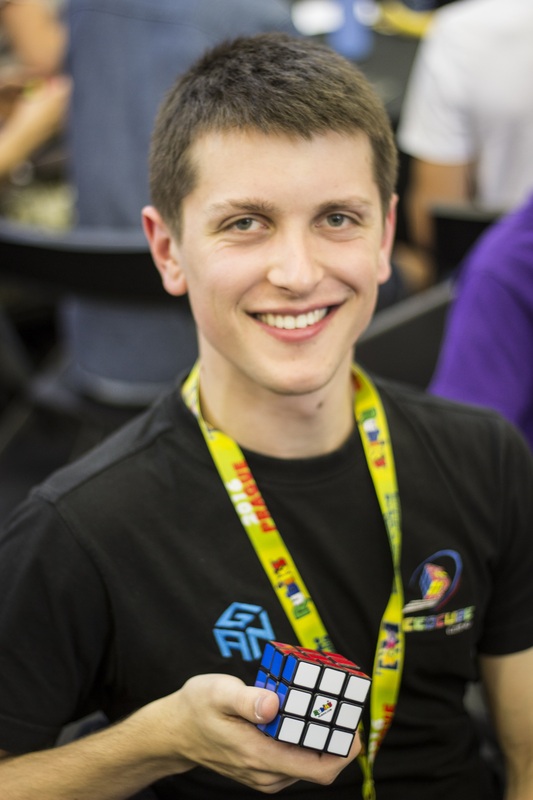 Again, Feliks Zemdegs held the world record for the best average solve time of 6.45 until April this year, when Max Park of the USA set an average solve time of 6.39 seconds. With just eight tenths of a second between the world’s top ten speedcubers – all of whom will be in action in Paris – the Rubik’s Cube title promises to be hotly contested. Chrisi Trussell of London-based Rubik’s Brand Ltd, which licences the Rubik’s Cube to distributors around the world, said, “The Rubik’s Cube World Championship in Paris is set to be by far the biggest speedcubing competition the world has seen, with over twice as many competitors as the previous World Championship. “Because of the competitive nature of the field, there is bound to be an incredible sense of tension. Feliks Zemdegs is difficult to beat but it’s amazing to see so many keen cubers in action from all corners of the globe. Ultimately, this is a social event and it’s always energising to see the support competitors give each other. To find out more about Rubik’s Cube, visit the website at https://www.rubiks.com/, Twitter feed @RubiksOnline (https://twitter.com/rubiksonline) or official Facebook page (https://www.facebook.com/Rubiksonline). Images and B-roll from the 2015 Rubik’s Cube World Championship are available on request. We would be delighted to organise interviews with Chrisi Trussell, spokeswoman for Rubik’s Brand Ltd, and members of the speedcubing community where available. Images and B-roll from the 2017 Rubik’s Cube World Championship will be available to journalists when the event is under way. Media information provided by Famous Publicity. For more information please contact George Murdoch on 03333 442 341 or george@famouspublicity.com , Adam Betteridge on 03333 442 341 or adam@famouspublicity.com or Tina Fotherby on 03333 442 341 or tina@famouspublicity.com. This press release was distributed by ResponseSource Press Release Wire on behalf of Rubik’s Cube in the following categories: Children & Teenagers, Men's Interest, Entertainment & Arts, Leisure & Hobbies, Women's Interest & Beauty, Sport, Consumer Technology, for more information visit https://pressreleasewire.responsesource.com/about. The Rubik’s Cube®, created by Hungarian architect Professor Erno Rubik in 1974, is a design icon and the one of the world’s best-selling toys. Rubik’s Cube® is a registered trademark of Rubik’s Brand Ltd.